Dunstan Playhouse, Adelaide Festival Centre, Fri 16 Jun. Live music is unique in that it can be experienced in many contexts, often governed by genre and intended audience, and those contexts dictate the experience of seeing a singer-songwriter: there’s the microbrew-infused casual Christmas light glow of the Wheatsheaf Hotel, the fireside knee-level stage intimacy of The Gov, the worn Adelaide Town Hall atmosphere of the Thebarton Theatre, and even the metal and concrete cave of the Adelaide Entertainment Centre. These venues are fantastic places to see an act, but they are casual; audiences are often able to converse, move, and carry on during a performance; maybe your toes get stepped on, or a drink gets spilled, and no one is going to bat an eyelash; it’s just part of the show. At the Adelaide Festival Centre, though, things are a bit different. The audience may dress up a bit; the drink options are a bit fancier. While the Adelaide Cabaret Festival is a place of irreverent comedy and song, the Adelaide Festival Centre is a place where the audience is generally hushed silent during a performance, and a pristine, unfettered live music experience may be had. 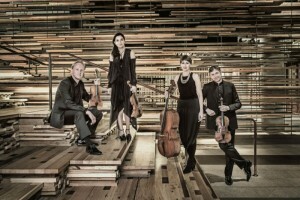 Such was the case when Lior and the Australian String Quartet took the Dunstan Playhouse stage to an enthusiastic, yet Festival Centre-polite audience. Opening with Gray Ocean, the Israeli-Australian singer immediately earned the silence with his perfect fingerpicking and silky croon, aided by the luxurious sustained tones of the Australian String Quartet. Chatting between songs, Lior made clear that the occasion of this one-off performance was not lost on him, and his earnest, self-deprecating chats with the audience were utterly charming. 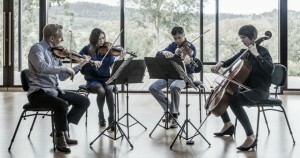 The second song performed, A Lift In The Morning Fog, with its lulling mood and lilting vocal melody, brought a warm, reassuring feeling to the space, and the Australian String Quartet’s pizzicato bridge was a nice touch. Lior introduces the next song, a cover of Radiohead’s No Surprises, in keeping with his tradition of playing requests and covers. The version performed is flawless, with the quartet providing a slowly building intro to set up the familiar guitar riff. Unfortunately for Lior, the choice invites comparisons that do not play to his strengths; his voice is rightly lauded, but no, it is not in a class with Thom Yorke’s. Lior is more of a technician, using his perfectly good voice with the practiced polish that he applies to his guitar playing, but there’s no technique to make a voice into a powerhouse of raw tone; you have to be Thom Yorke for that. He also changed the highlight lyric, “Bring down the Government…They don’t speak for us,” to “They don’t care for us.” It’s not entirely clear whether this is by intent or misinterpretation, but the sentiment is out of step with Lior’s decidedly genteel aesthetic and an odd choice for a government-funded venue and festival in any event. He straps on a Telecaster to play a solo, show-stopping rendition of the folk standard Satisfied Mind, his voice topping out on a spectacular high-note, and the crowd is awed. He follows with an anecdote regarding why he never reads reviews (a relief), before performing the reflective, waltzing My Grandfather, noting that it’s inextricably linked to Adelaide in his mind thanks to the warm reaction to an impromptu early airing of it in the Space Theatre. The Australian String Quartet return to grant Lior a rest while they perform selections from Phillip Glass’ Mishima. The ASQ are characteristically exquisite, their musicianship elevating the ostinato sextuplets of 1957: Award Montage, and the audience applaud the diversion appreciatively. Lior returns to the stage and welcomes Amelie Bottrill to fill in for Sia on I’ll Forget You, and she acquits herself admirably in the unenviable task, as the ASQ sweeten the performance with swells and counter-melodies. After bidding her farewell, Lior introduces the contemplative Building Ships, and once again, the audience transcends on a cloud of melody and aural bliss. 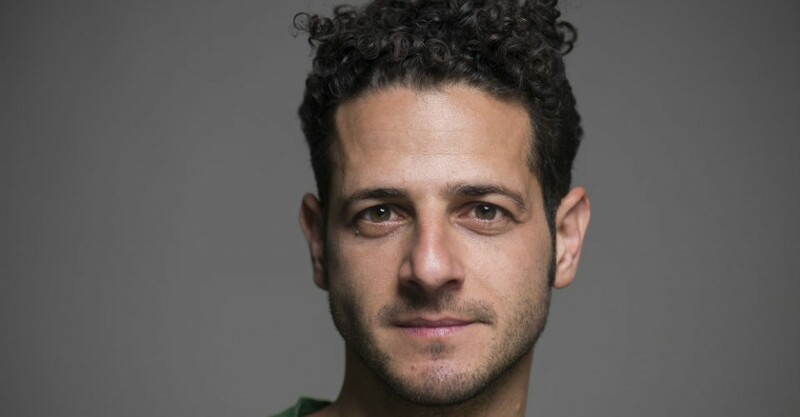 Lior’s voice is showcased, shifting between his upper register and falsetto with ease, and violinists Dale Barltrop and Francesca Hieu trade melodies to close the number. Lior performs This Old Love with a sparse quartet arrangement and its minor chord arpeggios and sweet chorus hold the audience enrapt. It really is lovely to see an artist given such an opportunity to showcase their work, and Lior has made the most of it. Bringing the evening to a close, the quartet accompanies Lior on the opening movement from Compassion, his recent collaboration with Nigel Westlake and the Sydney Symphony, entitled, Sim Shalom, arranged for quartet by Nigel Westlake himself. Musically, it pairs nicely with the Glass piece featured earlier, and Lior’s voice is featured in an entirely different context to the singer-songwriter focus of the evening thus far. 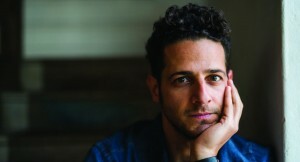 Without his guitar, Lior tackles the demands of the operatic vocal and is perhaps even more impressive for it. Lior and the ASQ finish to rapturous sustained applause followed by somewhat shocked and defiant applause as the house lights go on. Perhaps there is an adjacent performance and a Festival schedule to keep, so there will be no encore. It’s a pity, but a mere quibble when contrasted with the whole of the stunning performance, and the audience exchange superlatives on their way to the exits.